There are many types of Timber Venetians on the market. 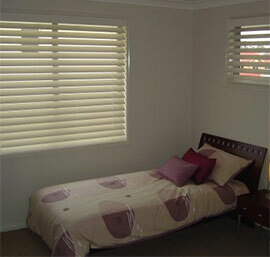 Important to the quality and durability of these blinds is the type of timber used and the thickness of the slats. Each product in our Timber Venetian range is chosen for its quality. 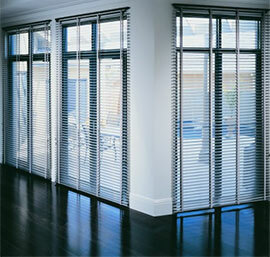 Phoenixwood is an Imported Timber Venetian Blind. The timber has a light, visible grain and is available in a Painted or Natural Stain. Country Oak is a Plantation Timber Venetian Blind available in natural colours that range between light to medium oak colour. Finishes Natural timber finish in various tones. Basswood is an Imported Timber Venetian Blind. It is available in a Painted or Natural Stain and is a beautiful durable blind. Western Red Cedar is the traditional timber of Timber Venetian Blinds. It has an attractive grain for a beautiful Lacquered or Oiled finish. They can also be painted in any of our standard colours or can be Custom Painted to suit your requirements. There are wide blade options which capture the distinctive look of wide blade shutters at a lower cost. These can be used for Internal or External use.